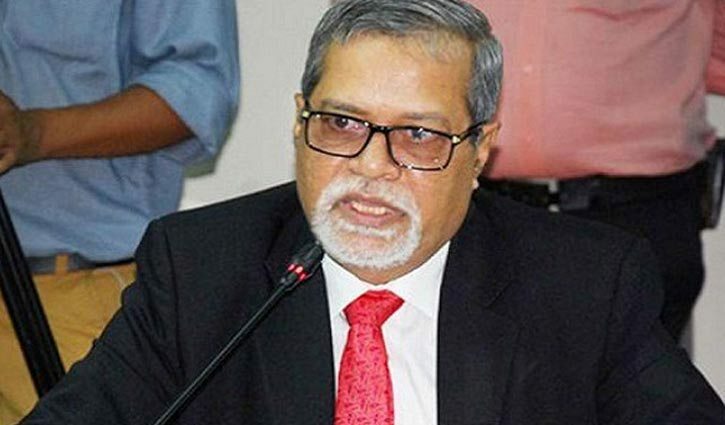 Journalists cannot go for live telecast and telephonic conversations from a polling booth during voting in the upcoming general election, Chief Election Commissioner KM Nurul Huda said on Saturday. "No live telecast will be allowed from rooms (booths), but journalists can do so from the premises of a polling station," he said while addressing a press conference at Nirbachan Bhaban in the city. The CEC, however, said journalists can use mobile phones to take photographs inside polling booths except the secret place of casting ballot. He said a number of journalists will not be allowed to enter a polling booth at a time as it will create hindrance to the activities of polling officials as well as voters. The Presiding Officer of a centre will determine how many reporters can enter a polling booth at a time considering its space, Nurul Huda said. He said the Commission is yet to take any decision over two proposals placed by law enforcement agencies before the EC to stop mobile banking and slow down the mobile internet speed to 2G from 4G for a certain time during the balloting. In reply to a query, the CEC said a level-playing field has been created for the 11th parliamentary elections slated for December 30. "I think a level-playing field has been ensured as candidates can carry out electioneering. They face no obstruction while conducting the campaign," he said. About the authority of the armed forces to be deployed in the election, Nurul Huda said the army can arrest troublemakers as per the law in case the situation turns worse. "Yes, they can make arrest. The power is bestowed upon them. If there’s a magistrate and situation turns worse, they can do so as per the law (the Criminal Code of Procedure, 1898)," he said responding to another query. Three election commissioners -- MahbubTalukder, Kabita Khanom and Shahadat Hossain Chowdhury -- and EC Secretary Helal Uddin Ahmed were present at the press conference.